Azaleas are considered flowering shrubs of the rhododendron family. Azalea flowers bloom in the spring, but die back in the fall. Flower colors include white, orange, red and purple. These shrubs grow from 2 and 8 feet in height. Azalea bushes grow best in USDA hardiness zones 5 through 8b. If you have added an azalea bush to your landscape, you will need to learn how to properly care for it. Plant azalea bushes where they will get shade during the hottest part of the day. The area they are planted should also contain a well-draining soil. According to Ohio State University, azalea bushes require a pH of 4.5 to 5.5., so testing the soil for pH and proper drainage is a must. Add a mixture of sphagnum peat moss, organic compost and pine bark mulch to the top 1 foot of soil. This will add nutrients to the soil, help aerate the soil and keep the soil draining properly. Water your azalea bushes so that the soil is always moist. This is important, even during the fall months. Mulch around the base of your azalea bush with some pine bark needles. The Gardeners Network recommends pine park needles because they will help keep the the acidity levels where they need to be. Fertilize your azalea bush only once each year. Use a 10-6-8 water-soluble fertilizer in the late fall. Follow all directions on the packaging label. Prune your azalea bush once each spring. This will help promote new growth, but be careful you do not prune too heavily. This can lead to no blooms for up to three years. Keep an eye out for pests and diseases. 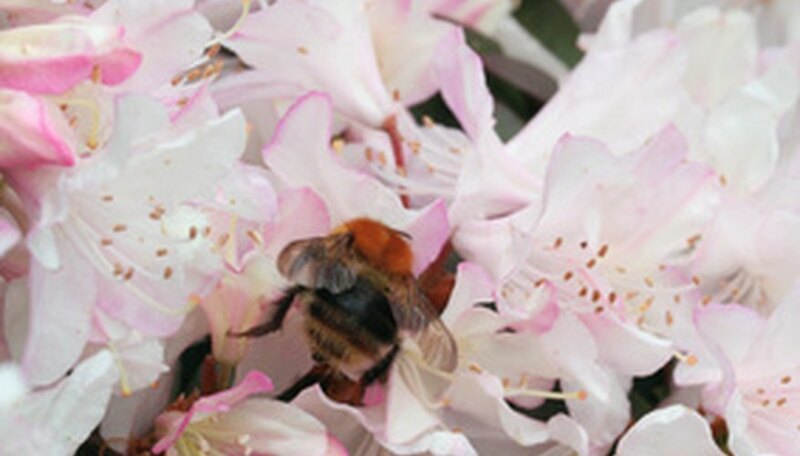 If you catch them early on, you will be able to treat your azalea bush with an insecticide, or fungicide to save it.